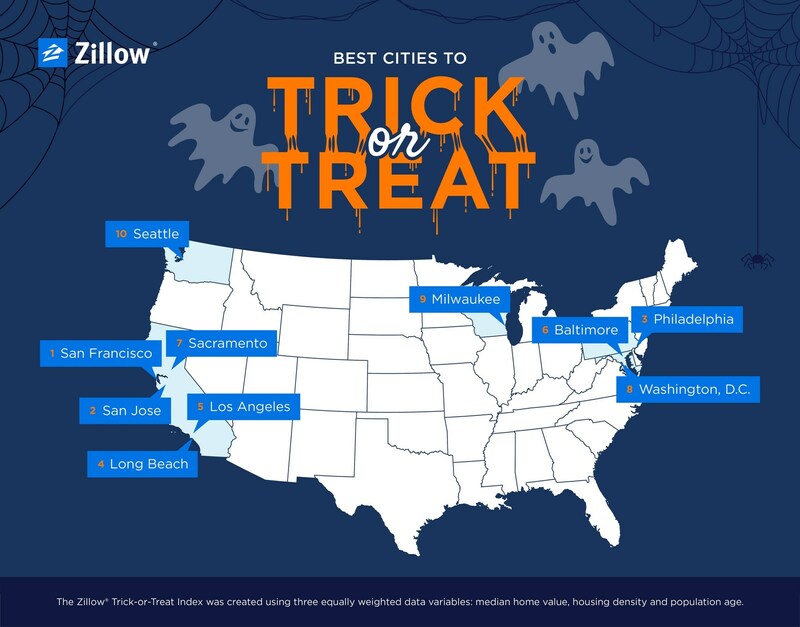 "Searching for neighborhoods with the best candy is a Halloween tradition for many kids and their parents," says Dr. Svenja Gudell, chief economist at Zillow. "Our annual list is a fun way for families to see how their neighborhood stacks up against others when it comes to trick-or-treating. These are places we think will have plenty of candy and lots of young kids running around from door to door." "If you don't live in one of these cities, look for areas that are getting into the Halloween spirit with decorations and lots of costumed kids," Gudell says.